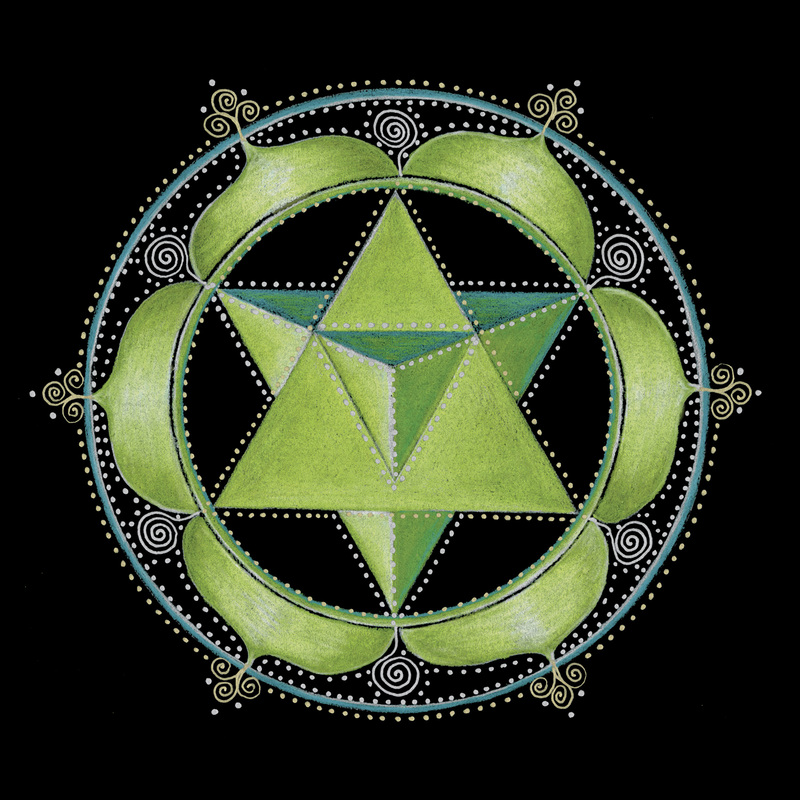 The heart chakra is the center or mid-point of our energy body. It is our electromagnetic core that is both grounding and expansive. Similar in concept to the electromagnetic core of earth it provides stability and protection. The heart chakra releases 60% more electromagnetic energy than the brain. This energy creates our energetic/auric field, just as earth generates the gravitational layer of our atmosphere. This invisible force reminds us of our interconnectedness to all. This is also the energetic place of our infinite soul, where compassion and unconditional love encourage us to evolve. Color: Green – heart. Pink – soul = red/root + white/crown. Body System: Chest Area – Cardiovascular System. Goals: Balance, compassion, unconditional love, alchemy. Practice: Right Love. Feel love for yourself and others. Malfunction: A closed heart is not able to love or feel joy. Fear can cause the heart to become hard, angry or shut down. A broken heart can create neediness. Issues: Heartache, jealousy, grief, loss of loved one, illness. Symptoms of imbalance: Loneliness, codependence, resentment, hopelessness, depression. Plant Ally: Rose for love. Essential Oils: Rose, Carnation, Geranium, and Cedar. Foods: Vegetables greens, broccoli, cucumbers, asparagus. Stones & Crystals: Rose Quartz, Peridot, Emerald, Green and Pink Tourmaline, Green Jade, Green Aventurine, Green Fluorite, Malachite, Kunzite, Copper, Serpentine, Pink Opal, Green Quartz, Pink and Green Sea Glass. Message: Become aware of the rhythms of your heart in connection with the rhythms of earth. Your heart is a powerful source of love when it is aligned with the wisdom of your infinite soul. Feel the miracle of your soul beating within you as you awaken to your true nature as one with all.